Easter dates back many centuries. In Europe, children make nests in their yards for the Easter Bunny to fill with eggs. In the U.S. children hunt for decorated eggs to place in Easter baskets. 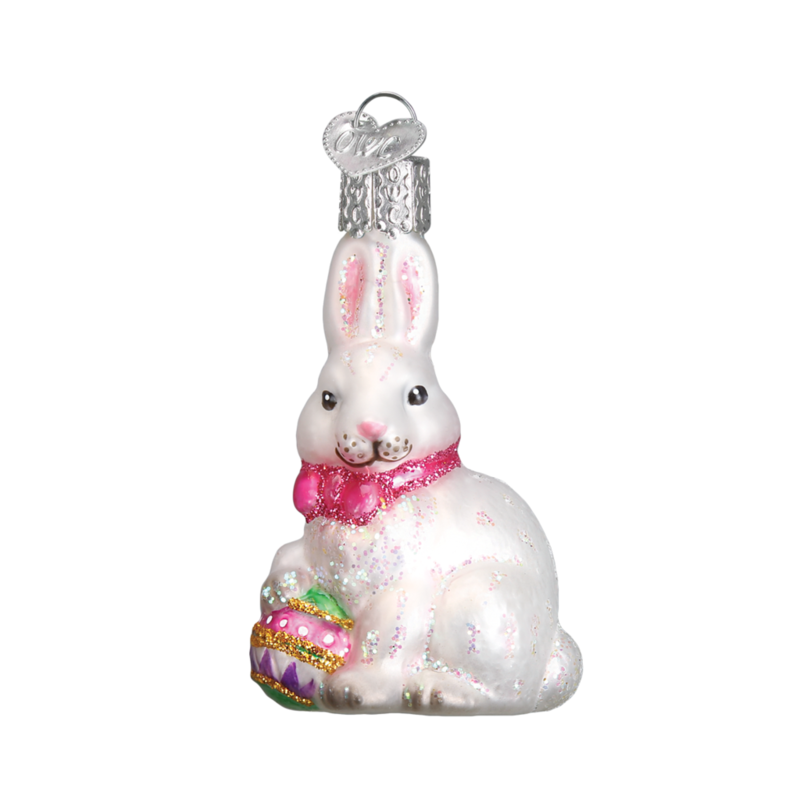 Celebrate the resurrection of Christ and the beginning of Spring with these Mini Easter Ornaments. Our Old World Christmas Blown Glass Ornaments are beautifully gift boxed for storage or gift giving. Every EASTER tree HAS to have a bunny. This is a nice, pretty, white bunny getting ready to deliver his eggs & goodies.